Star Center sends out two!! Jaxon Mitchell & Max Von Hapsburg are gearing up for 2019 JO National Championships in Reno, NV on May1-5th! Good Luck to these Young Men!! Star Center Congratulates First College Bound Gymnast!! Von Hapsburg Verbally Commits to United States Naval Academy! 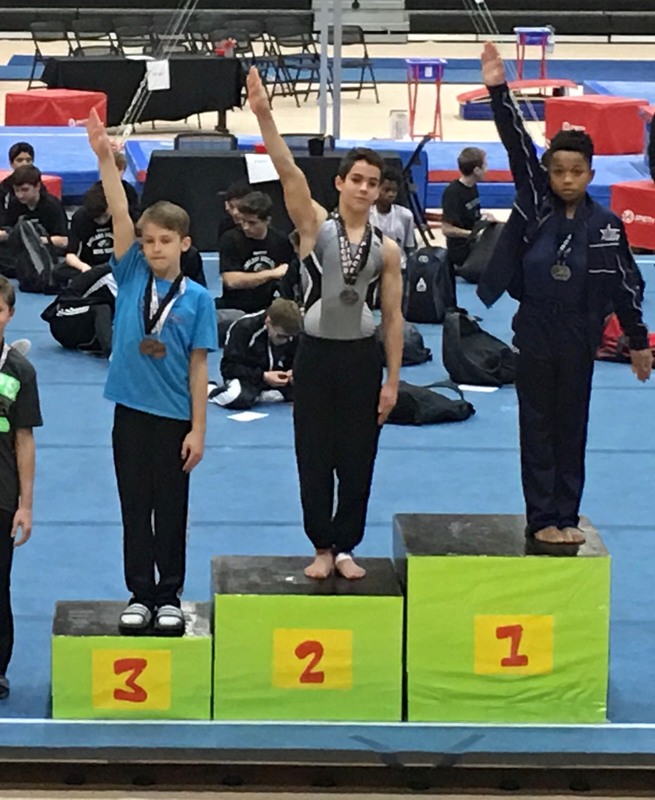 ​Senior Bowie High School student Max Von Hapsburg plans on continuing his gymnastics career in college at the Naval Academy. Max fell in love with the Naval Academy on his official visit and is excited to join such a distinguished program. Max was also accepted into the United States Air Force Academy. We are excited to see Max continue the sport he loves at the collegiate level. 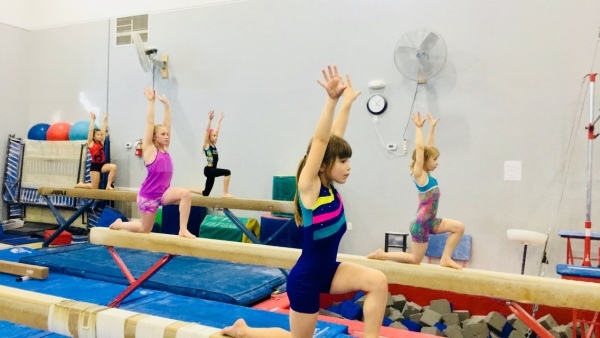 ​ Whether your child is a beginner or an Olympian, the goal is the same..for each member to have an enjoyable and rewarding experience participating in one of the world's toughest, yet most beneficial sports - gymnastics. As coaches, we want to develop happy, healthy, and confident gymnasts. One way in which we can help meet that demanding goal is to place gymnasts at the level where they can be happy, safe, and successful, both in the short and long term. The philosophy of Star Center is built on a combination of teamwork and personal success. Teamwork is defined as contributing to the whole and helping others. Success is defined by working to achieve realistic personal and team goals. We teach that success as a team and individually comes from within first. Also, we use mistakes as lessons from which to learn and improve. Jamie Henderson was born in Champaign, IL then moved to Kansas City, MO at 10 years old where his gymnastics career began. 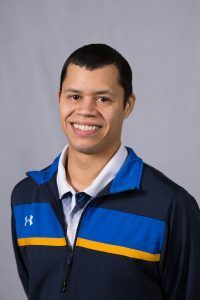 In a short amount of time, Jamie chose to move to Houston, TX where he would train under Kevin Mazeika with assistants such as Yuan Xiao and Rustam Sharipov. During that training in Texas, Jamie qualified to the Junior National Team where he competed for the United States on the junior international level in competitions such as Canberra Cup and Pacific Alliance. During his competitive college career Jamie also achieved his Bachelors degree in Fine Arts with a focus in painting and his Master’s degree in Fine Arts with a focus in sculpture. As coaches, we aim to develop happy, healthy, and confident gymnasts. One way we can help meet that demanding goal is to place gymnasts at the level where they can be happy, safe, and successful, both in the short and long term. What this means is that every gymnast must be able to perform the skills and routines required at a given level comfortably. We can never ask or expect our athletes to perform skills or routines in a competition that they cannot perform consistently in practice. ​Our team coaches are truly unique in the gymnastics community. Selected for their care and expertise, Star Center has one of the best coaching teams in Texas. Their experience and knowledge is unsurpassed. Their record of competitive success is strong. They are true professionals that care about each team member and desire that they fulfill their potential.